Do you spend hours researching every tiny cough or skin rash, always expecting the worst? Want to be able to stop obsessing about your well-being? It’s normal to worry about your health. But these days there’s almost too much information available. You think you can Google a few symptoms and make a proper diagnosis. But that just freaks you out, and unless you’re medically qualified, can actually do you a lot more harm than good. 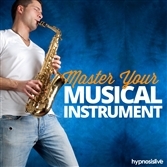 You can overcome this health-related fixation – with help from hypnosis. 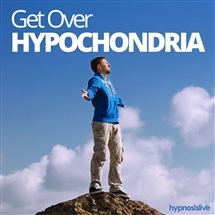 The Get Over Hypochondria hypnosis session will help you open your mind and free it from imaginary and obsessive worry! 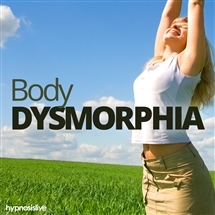 As you listen, powerful hypnotic and NLP commands will work to wipe away your anxieties, helping you put your body’s health in perspective. You’ll eliminate negative thoughts about your well-being, and replace them with positive, helpful ones. 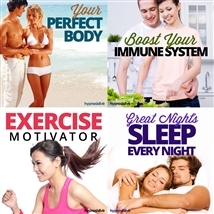 You’ll discover how to relax where your health is concerned and take things in your stride as just another part of everyday life. Kick hypochondria out of your life for good! Download the Get Over Hypochondria hypnosis session now to restore and maintain your body’s natural, healthy balance.